If you’re serious about being mentally superior like me, then here’s your new motto (and possibly tattoo): TOMORROW STARTS TODAY. Or, in the case of Performance Lab Sleep: TOMORROW STARTS TONIGHT. Because, well, let’s be real: if tomorrow actually starts today, then what is today but the end of yesterday. And if today’s the end of yesterday, then really tomorrow started yesterday. Frankly, that line of logic gives me anxiety, and I can’t sleep when I’m anxious. So, instead we go by the Performance Lab Sleep philosophy: TOMORROW STARTS TONIGHT — and it starts in a comfy bed, at a reasonable hour, with a nice, cold glass of tart cherry juice. If you’re confused by that last list item, I recommend that you read the Performance Lab Sleep review below. Who Takes Performance Lab Sleep? Conclusion: Does Performance Lab Sleep Work? Performance Lab Sleep is a nightly regeneration support supplement for optimized daily mental performance. 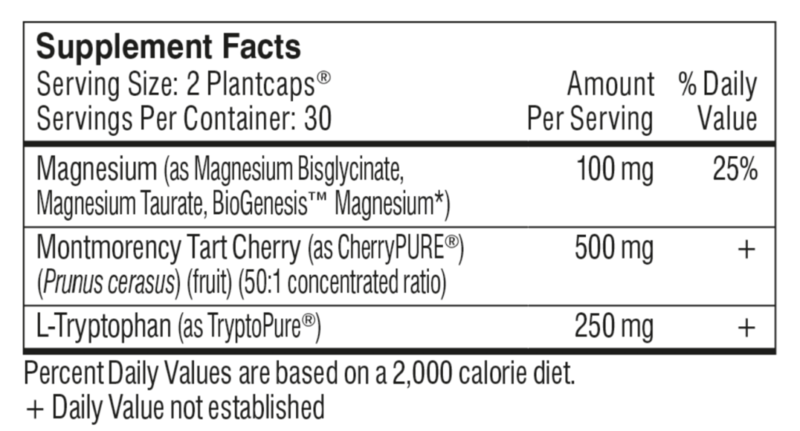 Premium ingredients abound: CherryPURE® extract (for melatonin), TryptoPure® L-Tryptophan, and a quality Magnesium complex (including BioGenesis™). Performance Lab Sleep’s premium ingredients come encases in premium Plantcaps® branded capsules, completing the overall natural design of this noot sleep aid. Directions: Take 1-2 capsules in the morning or early afternoon. For best results use daily and consistently. If you want the quick and dirty sleep aid supplement, you go for melatonin. It’s one of the most popular over-the-counter options for quote-unquote “better” sleep. However, many melatonin supplements supply the synthetic stuff, which may greatly vary in melatonin:serotonin ratio concentrations. This is bad news bears for the melatonin sensitive and/or serotonergic antidepressant users. Performance Lab Sleep, on the other hand, supplies a more standardized melatonin concentration, as I’ll explain below in the “Ingredients” section of this review… As in right below, like right underneath this paragraph — so, let’s get the frigg on with it! Because dietary magnesium has a low oral bioavailability, it’s nice to see Performance Lab Sleep investing in the easy-to-absorb stuff, issuing its magnesium in a more premium format: BioGenesis™ branded Magnesium Bisglycinate and Magnesium Taurate. Thas supa coo. I generally avoid melatonin when I can, as the morning-after results for me tend to vary from “okay, I feel pretty good” to “why does my head feel *blurghhhlellrrr*? ?” This is likely due to the unreliability of synthetic melatonin, a common OTC melatonin form found in many sleep aid supplements. Performance Lab Sleep does not use synthetic melatonin but rather melatonin naturally sourced from montmorency tart cherry (CherryPURE™), the richest natural source of melatonin. 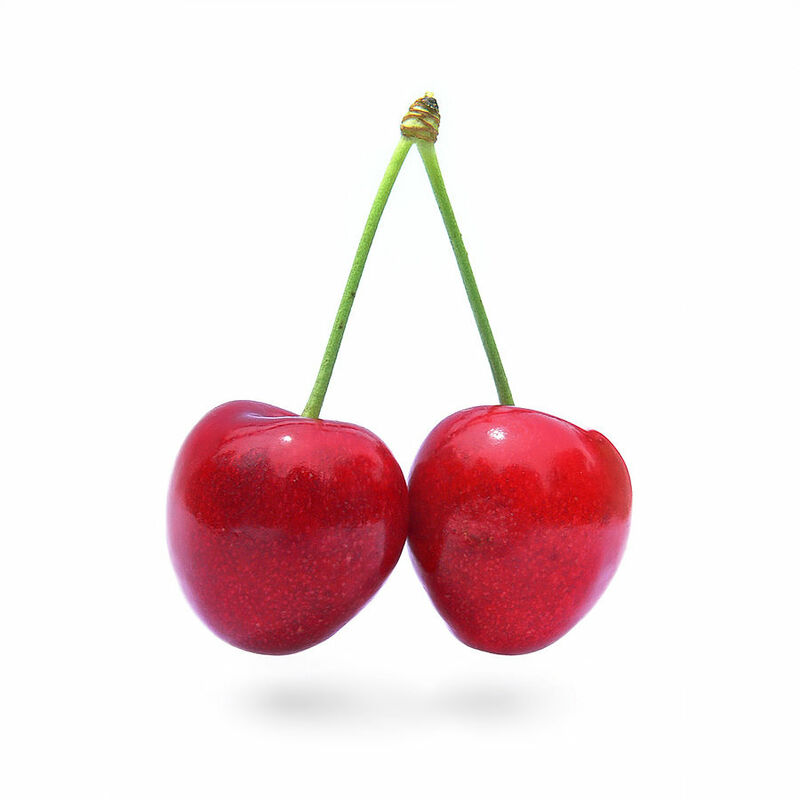 And the results look good on cherry melatonin: one study found that tart cherry juice concentrate improved sleep quality over placebo over a 7-day span. Additionally, tart cherry supplementation comes with the added benefits of increased antioxidant capacity, meaning reduced free radicals and oxidative damages across the brain and body. While not quite as known as melatonin, L-tryptophan is another reliable natural sleep booster, especially when stacked with magnesium and vitamin B6 — a cofactor in L-tryptophan’s conversion to serotonin. Eventually, L-tryptophan converts to melatonin through the following pathway: L-tryptophan to 5-HTP to serotonin to melatonin. This somewhat lengthy pathway process initiated at nighttime may help prolong a better mood through the next morning and day. And Performance Lab Sleep doesn’t go with plain ol’ L-tryptophan, instead giving us the good stuff: TryptoPure®. Through TryptoPure®’s fermentation process, this ingredient yields a high 99-100% tryptophan concentration. So, essentially that 250 mg dosage accurately represents the actual L-tryptophan content in this stack. How every morning feels after a good night of sleep. As I said before, the quick and dirty way to fall asleep is your standard, synthetic melatonin. I’m sure many of my readers — all you nootropic geeks out there — have at least messed with melatonin once or twice in their lifetimes. And if they’re anything like me, it’s sometimes lead to a foggy, groggy morning. For me, these foggy, groggy mornings occurred often enough to kick melatonin to the curb. Which is why I was hesitant to give Performance Lab Sleep a try. Although, I’ve heard tart cherry juice is the real deal when it comes to sleep, so I figured “YOLO” — I’ll give melatonin another try. You already know what I’m going to say: Performance Lab Sleep worked. The ingredients are all high quality and safe. The dosages are adequate and transparently displayed. Everything in the formula sticks to the advertised plan. Many nootropic supplements, in particular, neglect this last point by vaguely listing things like “Focus” and “Clarity” on their labels, yet fail to follow these claims up with any nootropics that actually provide focus and clarity. Sleep aid supplements, on the other hand, can’t get away with this so easily. 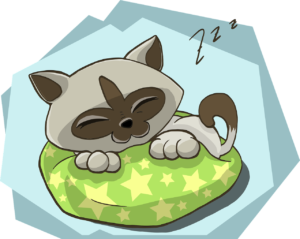 How do you know you’re asleep… when you’re asleep? Because you know when you’re not asleep. But what differentiates a good sleep aid from a bad sleep aid supplement is how the supplement makes you feel the next day. And thanks to Performance Lab Sleep’s additional L-tryptophan and magnesium, I felt pretty great throughout the morning, with enough energy to spare into the afternoon. And the best part: no follow-up morning came with any foggy, groggy, froggy, soggy, lame BS to slow me down at any point. The Performance Lab Sleep experience worked consistently, and, more importantly, it worked consistently well. Wake Up, You’re Dreaming! If you’re one of those “I’ll sleep when I’m dead” types, perhaps you should check out lucid dreaming. Essentially, it allows you to maintain consciousness while you’re asleep. Which is not only cool but, well… arguably fictional. Even so, it’s a cool concept I’ve looked into. So, if you’re interested to learn more, check out my write-up on lucid dreaming. Performance Lab Sleep supplies one of the cleaner, more premium sleep aid options on the market, doing away with that synthetic melatonin mumbo-jumbo. This sleep stack also does away with the proprietary blend nonsense, instead revealing to us the individual ingredient dosages. And guess what: they’re good. For a stack of this quality, Performance Lab Sleep is reasonably priced, especially if you plan on taking this supplement for the long-run — in which case you can order the 3 boxes order option for a cheaper price per serving count. You can only buy it at one spot (https://www.performancelab.com/supplements/sleep/), which means no price competition. Except, of course, the order option competition, which can get a bit feisty. Performance Lab Sleep is laser-focused on sleep quality. Best not to be taken before your mid-day drive. If you buy more boxes per order, the price per serving decreases by 5% (for 2 bottle orders) and 10% (for 3 bottle orders). Performance Lab Sleep has a certain neurohacker vibe to it. Sure, nootropic users with frequent sleep issues will obviously find value in this supplement …however, it seems that most everyone has frequent sleep issues. And thus, simply put: anyone looking to get better sleep for better, well-rested daily cognition may find value in Performance Lab Sleep. Yes, Performance Lab Sleep works. Namely, it works at putting you to sleep. Which is only the minimum requirement of a sleep aid. Yet, this supplement goes well beyond the minimum by not only helping you sleep but helping you feel better and mentally recharged for the next day. Much of this is to the credit of Performance Lab Sleep’s choice of quality ingredients, as well as the manufacturer’s commitment to non-synthetic melatonin. Performance Lab Sleep is a natural sleep aid supplement, a title that many sleep supplements grant themselves yet haven’t earned. Because I’m often tempted by the night (namely Fortnite), I find immense value in a quality sleep aid that not only works but doesn’t sacrifice tomorrow’s energy. And, lucky for me, Performance Lab Sleep fits that bill. To learn more about Performance Lab Sleep and its ingredients, hit the following link: Click here to learn more about Performance Lab Sleep.